The Cruelty Free Shop in Glebe was one of the forerunners in providing alternatives to many mainstream products for the vegan community, and still leads the way with regard to range, quality and accessibility. 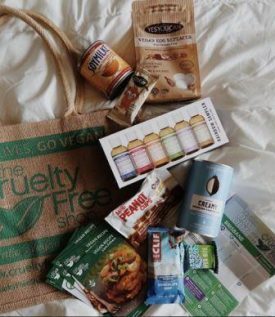 They are like a trading post for vegan goods, selling clothing, shoes, handbags, accessories, faux meat, dairy substitutes, deli foods, chocolates and sweets, pet foods, toys and so much more, all made from animal friendly ingredients and materials. The people at Cruelty Free are also active campaigners, participants in animal rights events, and crusaders for the cause.